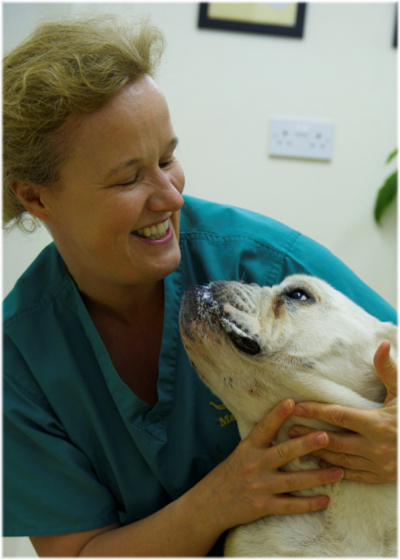 Viking Vets - Lisa Cartwright - Your local vet based at Chevening, Station Road, Henbury, Bristol BS10 7QQ. 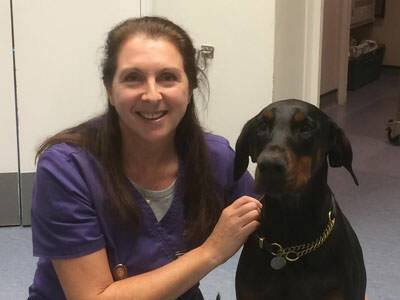 Lisa has been at Viking Vets since it opened in 2000, even helping to paint the practice prior to opening! She is head nurse and has seen her team grow and blossom over time to six qualified nurses, four trainees and two receptionists. Her main responsibility is trying to keep the staff and clients happy! She has a doberman called Max. Her main interests include walking her dog, running, cycling, cooking and reading. She also enjoys holidays and short breaks and is a huge fan of Italy in particular. Her nurses have a huge range of experience between them and they run a wide variety of nurse clinics, most of which are free. These include: kitten clinics, feline behaviour, puppy clinics, puppy parties, dog behaviour, adolescent checks, weight watcher clinics, post neuter checks, senior clinics, dental clinics, physiotherapy clinics, microchipping and nail clipping.